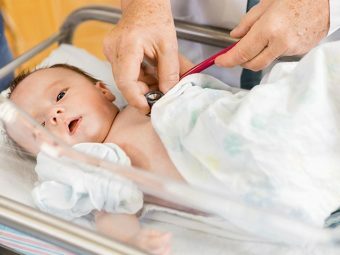 How common is phenylketonuria among infants? How to manage phenylketonuria in babies? What are the complications of phenylketonuria? Phenylketonuria is a condition as complicated as its name. 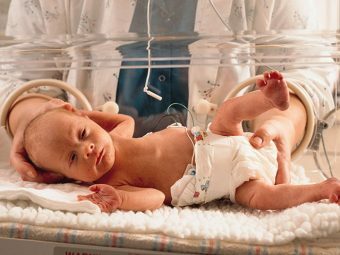 A baby born with phenylketonuria will be healthy at birth but will show the symptoms only after the first three months. What is phenylketonuria? 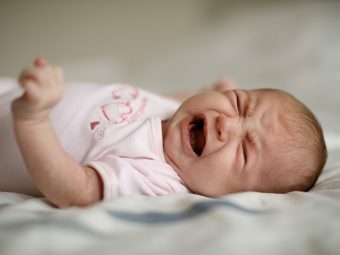 What causes phenylketonuria in babies and is there a way to cure it? MomJunction answers those questions and shares all the information related to the condition. Phenylketonuria (PKU) is a metabolic disorder that causes the deficiency of the enzyme phenylalanine hydroxylase, which eventually leads to an inability to process a specific type of amino acid called phenylalanine. An amino acid is essential for the production of protein to build muscles and maintain organ functions. Phenylalanine is an amino acid found in nearly all high-protein foods like meat, milk (including human breast milk), dairy products, eggs, high-protein beans, and nuts (1). But the body cannot use phenylalanine in its usual state. Therefore, the enzyme phenylalanine hydroxylase converts phenylalanine into another amino acid called tyrosine. Tyrosine is used in the production of several neurotransmitters, hormones, and even melanin, which is a compound that gives color to hair, eyes, and skin (2). The phenylalanine hydroxylase enzyme is produced by the cells of the liver and some cells in the kidneys (3). When the body fails to produce this enzyme due to defective genes, phenylalanine gets accumulated in the body and causes health complications. Therefore, when the body is unable to produce phenylalanine hydroxylase, it is unable to process phenylalanine, which eventually leads to the disease phenylketonuria. An infant can get phenylketonuria if he/she inherits the defective gene from their parents. The defective gene results in the inability to produce the phenylalanine hydroxylase enzyme (4). The illness is an autosomal recessive inheritance. It means that if one parent passes the healthy gene and another parent gives the defective one, the healthy one will dominate over the unhealthy recessive gene. In such a scenario, the baby will not have phenylketonuria but will have a copy of the defective gene within their DNA. If both the parents carry the defective gene, there is a 25% chance of the baby getting PKU, 25% chance of being healthy, and 50% chance that the baby will carry the copy of the gene just like parents. The baby can develop PKU when both the parents have faulty genes or PKU themselves. Phenylketonuria is a rare disorder and occurs in one out of 10,000-15,000 births. 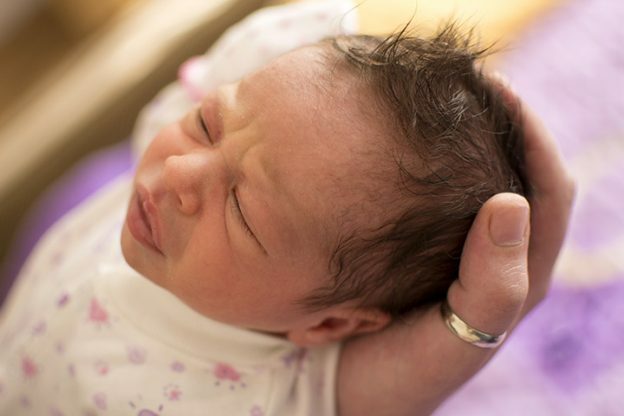 Screening of newborns in the US has found the rate to be one in 13,500-19,000 births (5). The condition affects both males and females equally across ethnicities. Lethargy and unexplained overall weakness. Chronic vomiting. It can lead to dehydration as a latent complication. Rashes that could be widespread thus leading to eczema. Irritability and fussiness. Older infants and toddlers with PKU will have frequent episodes of temper tantrums and may display signs of self-harm. Pale skin, eyes, and hair due to the lack of sufficient melanin in the body. A musty smell, which resembles stale food, would emanate from the baby’s urine or perspiration due to the presence of phenylacetic acid. Tremors and epilepsy attacks may occur in the older infants. About 25% older children with undiagnosed PKU display seizures. Small body and short stature. The baby will have physical and mental developmental delay. The symptoms do not emerge until the baby is three months old. In some cases, the symptoms may not be discernible until the infant is six months old when they begin taking solid food. A visit to the doctor can help parents learn more about the symptoms. If you are a resident of the US, then your baby would have been screened for PKU before you leave the hospital. The local healthcare laws require a heel-prick test to be done on all the newborns. Heel-prick test: As the name suggests, the doctor pricks the center of the baby’s heel and collects a blood sample. The test is performed after the baby is at least 24 hours old. The test is most commonly performed when the baby is five days old. The collected blood undergoes genetic testing to determine the presence of the defective gene. Urine test: This is performed only if the blood test turns positive. The doctor will collect some more blood and the infant’s urine for further testing. If the tests are positive for PKU, then the doctor will recommend the course of action. There is no specific cure to phenylketonuria since it is a genetic disorder. But the treatment aims at maintaining phenylalanine blood level within 120-360 µmol/L (2-6 mg/dL). Phenylalanine-free formula: Breast milk contains phenylalanine. Therefore, the baby will need to have a phenylalanine-free formula (8). Infants and toddlers will get the “Phenyl-Free 1” version of the formula. The formula takes care of protein intake since it can provide up to 90% of the protein requirements of the baby (9). PKU diet: You have to be careful about what you feed to your baby once they are ready for solids. A pediatric dietician can help you make a diet plan that is free of high protein foods. A baby with PKU has to avoid high protein foods like meat, eggs, milk, dairy products, a few types of beans, pulses, and nuts. The baby can have vegetables and fruits. A phenyl-free diet is deficient in protein, but parents need not worry since the phenylalanine-free formula will provide the protein requirements (9). Sapropterin: Sapropterin dihydrochloride, known just as sapropterin and sold under the brand name Kuvan, is a compound often used for the treatment of phenylketonuria (10). 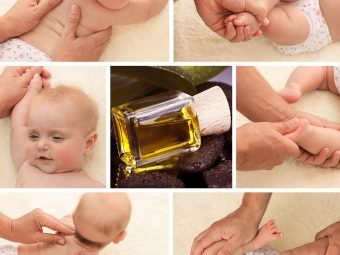 The medicine is suitable for infants of all ages, with a dosage of 10mg/kg once daily (11). However, sapropterin may not work for every baby. It is only through trial and error that one can tell if the medicine works (12). Sapropterin can also cause severe side effects like a headache, nasal congestion, diarrhea, vomiting, and abdominal pain (13). Therefore, it should be administered only after consulting a doctor. According to medical experts, as long as the baby avoids high protein food items, there is no risk of PKU causing complications (4). The baby has to follow the diet indefinitely for the rest of their life. 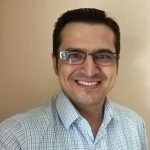 How To Manage Phenylketonuria Among Babies? Stick to the phenylalanine-free diet. Once you have the phenylalanine-free diet plan for the baby, you must stick to it. Make sure the diet is followed even in toddlerhood when they are likely to eat on their own. Check the ingredients of the food items before giving them to the child. For instance, the artificial sweetener compound aspartame is quite commonly found in candies and chewing gum. The body converts aspartame into phenylalanine. Get regular blood checks done. The baby will require periodic screening to check if phenylalanine is within limits in the blood. Keep a file of the results and always stick to the test date stated by the doctor. Be watchful of the symptoms. Sometimes, the child might eat something that contains phenylalanine. In such case, be vigilant of any symptoms. The treatment and management of PKU help prevent the severe complications of phenylketonuria. The complications arise when the condition goes undiagnosed and phenylalanine gets accumulated in the body. Severe developmental delay. The baby will have extreme weakness, and physical shortcomings when compared to healthy children of the same age. Intellectual disability. Children with uncontrolled PKU have a lower IQ than their peers. Microcephaly where the brain does not develop properly and stays diminutive in size. Autism and autistic spectrum disorder. Poor visual-motor control. The child will have poor hand-eye coordination. Uncontrolled PKU carried forward to adulthood increases the risk of depression, which in turn increases the person’s susceptibility to self-harm. It is highly unlikely that the baby will ever develop the above complications unless the symptoms are ignored or the test is never performed. The complexities may become evident when the baby steps into toddlerhood. There is no prevention for phenylketonuria since it is a genetic disease. Preventive steps are usually relevant to the parents. Get PKU test: If you suspect you or your partner has PKU, then get tested for the condition before you decide to have a baby. A blood test will tell whether you have PKU or carry the defective gene. A test cannot change your genes, but it can certainly help you plan better. When both the partners have PKU: You may consider whether or not to have a pregnancy. It is a matter of personal choice. If you and your partner have suffered throughout your life due to PKU, you may not want your baby to go through the same. But this is a highly individual decision. Phenylketonuria lasts a lifetime and has the potential to cause problems. However, it is also a condition that can be managed easily with a few changes in diet and lifestyle. Most infants with well-managed PKU grow up to become healthy individuals. Adults with the condition seldom have problems in having children (14). Adequate management is all a child needs. 1. Phenylketonuria (PKU), Harvard health publishing, Harvard medical School. 2. PAH gene, Genetics Home Reference, NIH. 3. Lichter-Konecki U1, Hipke CM, Konecki DS, Human phenylalanine hydroxylase gene expression in kidney and other nonhepatic tissues, NCBI. 5. Phenylketonuria, National Organization for Rare Diseases. 6. What are the common symptoms of PKU? National Institute of Child Health and Human Development. 7. How do health care providers diagnose PKU? National Institute of Child Health and Human Development. 9. Cristine M. Trahms Program for Phenylketonuria, Treatment Guidelines: Nutrition Management Of The Toddler / Young Child, University of Washington. 11. Pediatric-Focused Safety Review: Kuvan (sapropterin dihydrochloride) Pediatric Advisory Committee Meeting, March 6, 2017, U.S. Food and Drug Administration. 13. Sanford M1, Keating GM, Sapropterin: a review of its use in the treatment of primary hyperphenylalaninaemia, NCBI. 14. Gabriella Pridjian, MD, Pregnancy and Phenylketonuria (PKU), LSU Health Sciences Center. 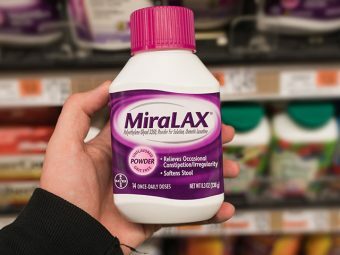 Is Miralax Safe For Babies And Toddlers?